First among the Ashtavinayak temples. A traditional Ashtavinayak darshan starts and ends at this temple. The Hindu tradition holds that at the time of “pralaya” (final destruction of the world), Lord Ganesh will enter “yoganidra” (eternal meditative sleep) at this temple. Legend is associated with the story of a demon called Sindhu. He was the son of King Chakrapani of Mithila and his wife Ugra. Queen Ugra conceived Sindhu by the blessing from the Sun God. Sindhu received an ever-full bowl of Amrith or nectar from the Sun God which made him immortal and indomitable. But he has to keep it intact; so to protect the bowl from damage he swallowed it. Powered by this blessing,� he terrorized the world.� The Devas prayed to Lord Ganesh to find a solution. Lord Ganesh (mounted on a Mayur or Peacock) appeared before the demon. He opened the throat of demon Sindhu by an arrow; emptied the nectar bowl and killed him. As Lord Ganesh came by mounting on a Mayur, the place became Moreswar and the deity here came to be known as Mayureswar. 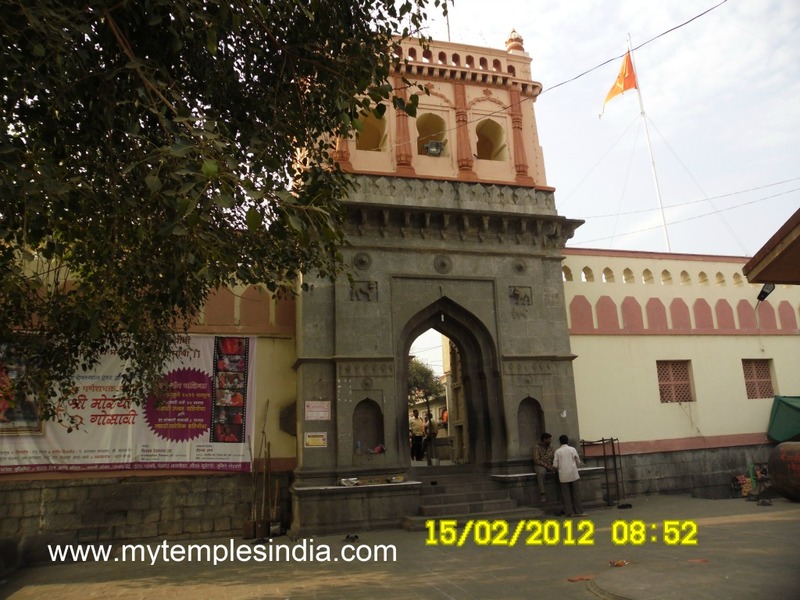 The temple is about 60 kilometers from Pune on the Pune-Solapur route. Regular State Road Transport buses are there from Pune.